I have a lot of scraps. When I populated my new Raskogs, I did a scrap purge. I had to face the fact that I will not use a lot of the scraps I had saved. 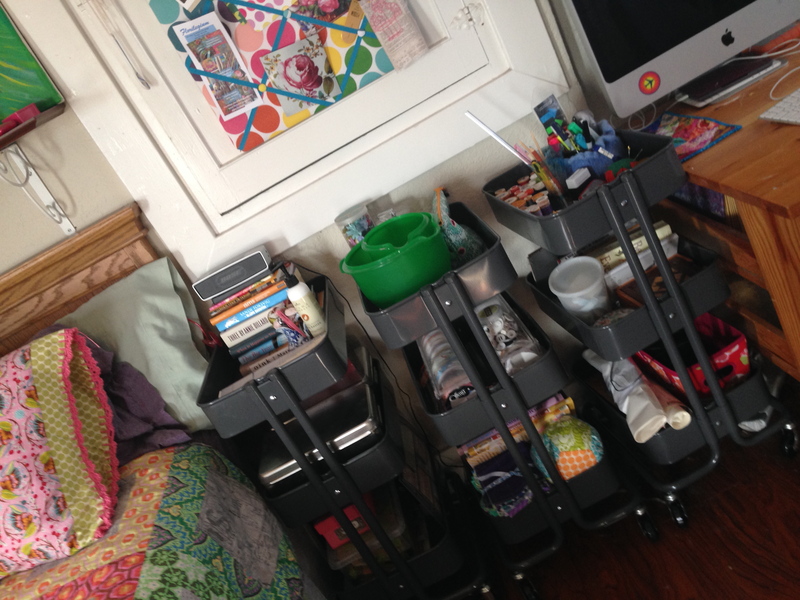 I saved about 75% of them and organized them by color. It was sad to see the rest go, but I thought it was more important to have my scraps in a usable state than to save every last one. 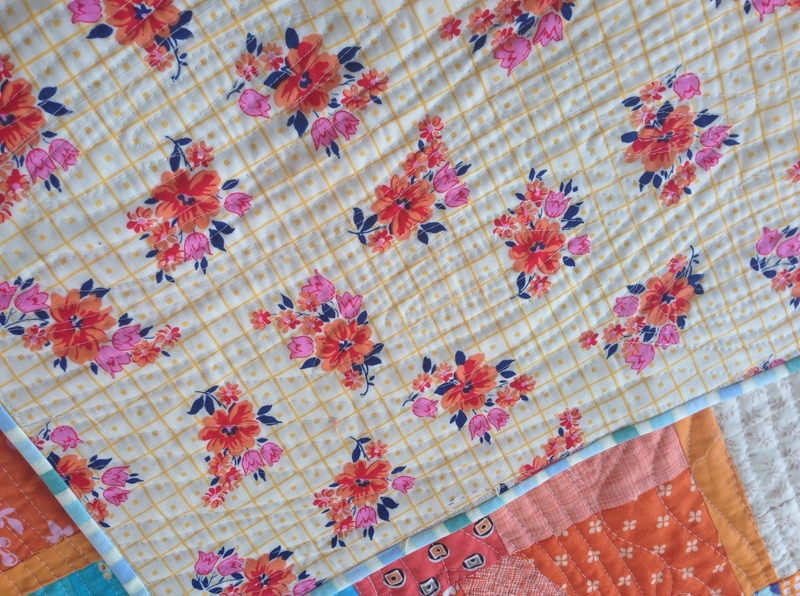 I used my newly-found, calm-inducing scrap organization to start making slabs ala the instructions in Sunday Morning Quilts. It was fun to make these blocks for sure, but more time intensive than I had hoped. I was looking for quick if the blocks were this improv-y. But each block took a bit of time. I also made some “wonky” stars for the yellow color. And I backed in my second favorite fabric of all time, this floral from Denyse Schmidt. Which they still sell at Joann. Because the financial gods are against me. I wanted a blue binding to pull out the little bit of blue in the quilt. I had this adorable stripe in my stash. No idea where it came from. After cutting out the binding I had a thin strip left. That I put in my scrap bin. Sigh. After washing and drying, the texture of this wood grain became just amazing and soft and quilty. Seriously, can’t wait to do this again. Motivation to finish a quilt top for reals. 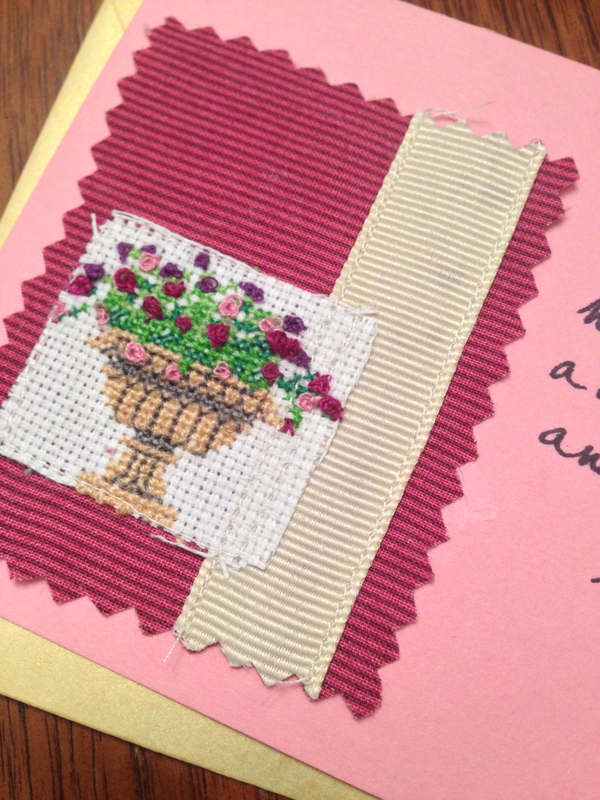 I hope the recipient will love it for her daughter. 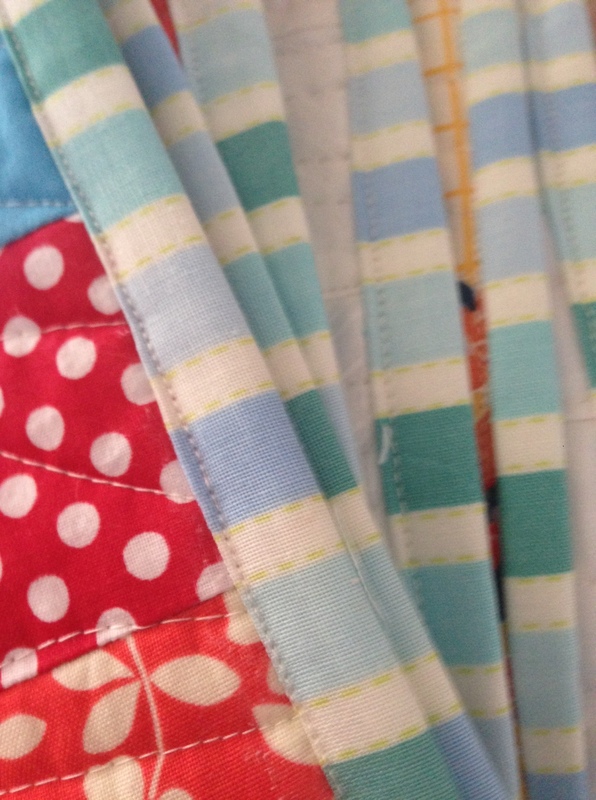 I do think I am pushing the boundary of how close a friend has to be for me to give her a baby quilt. I might be handing them out on the street corner this time next year. The great news is that a *very* good friend just told me she was pregnant. Woot! 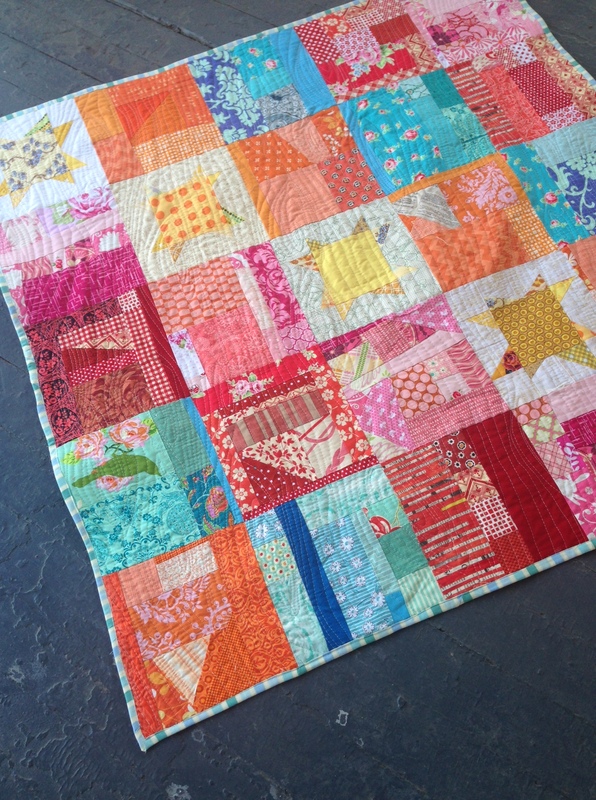 And so I can give her a quilt (or quilts) without it being weird at all. A trip to the museum… and then the fabric store. The exhibition, in Gallery P6, displays Italian, French and Spanish textiles influenced by this Middle Eastern trade and aesthetic tradition, spanning the 15th-17th centuries. 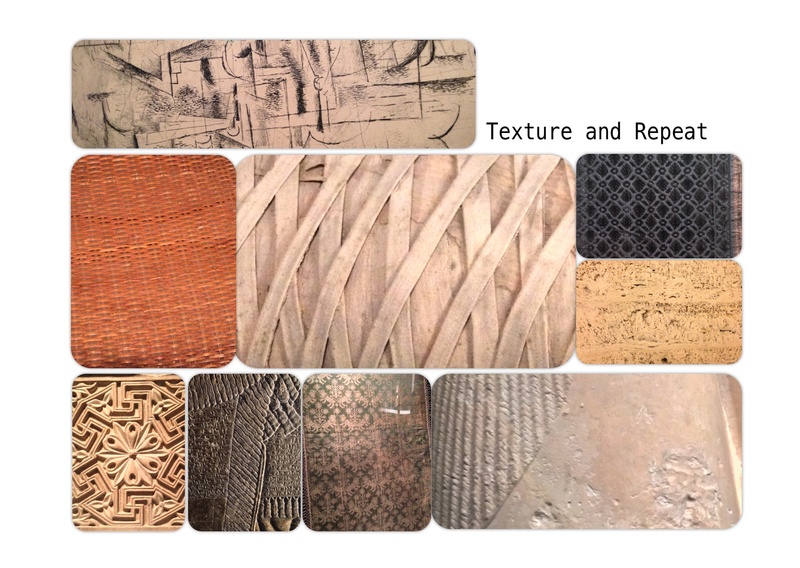 Woven of sumptuous silk and exhibiting varied weaving techniques and ornamentation, these textiles were costly luxury goods and highly prized by the wealthy merchant classes. After finding a volunteer who could tell us the location of Gallery P6, we found the exhibit of 5 different pieces of cloth. The centerpiece of roaring lions and foliage was impressive. And we marveled at how long these scraps of beautiful fabric have existed. And 10 minutes later we were done with the exhibit. So having made the trek to the museum, we did a bit more exploring. I tried to focus on finding patterns that would make great fabric. Not the loftiest of cultural enrichment goals, but fun. Fun, right? We went to the exhibit of the rise of Modernism during and after World War 1 (http://www.nelson-atkins.org/art/exhibitions/WWI.cfm). 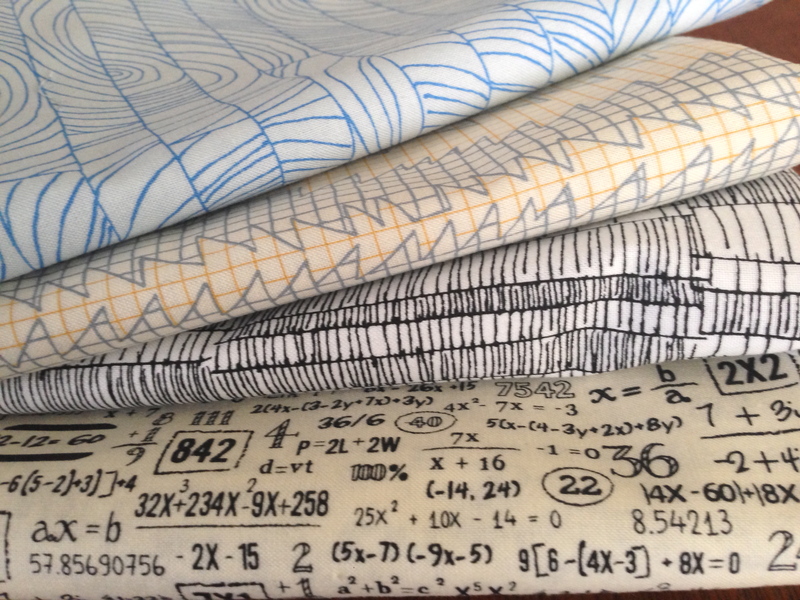 A lot of the drawings made me very itchy for some Doe fabric (by Carolyn Friedlander). My husband then willingly drove me to Lawrence to Sarah’s fabrics. My purchase is pretty contained. 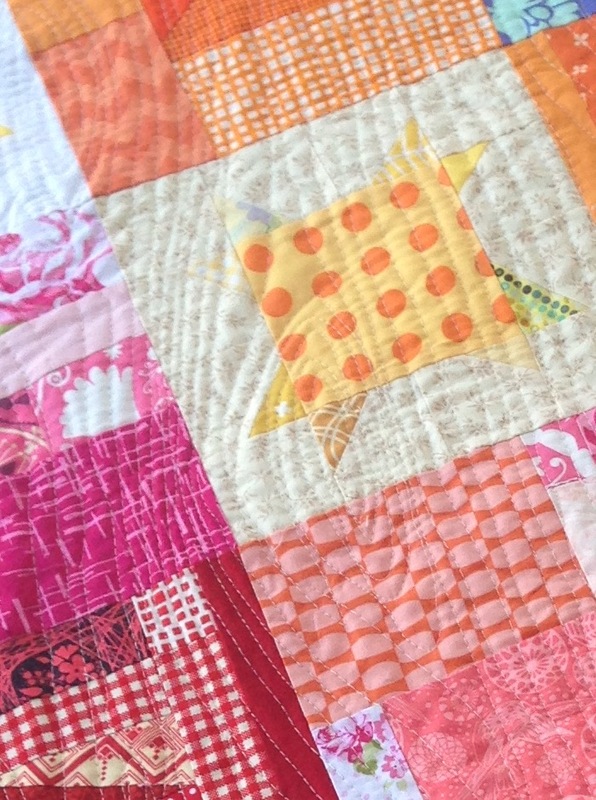 I am dreaming of a quilt for my stepson using the entire range. It is such a great group of fabrics. Sigh. This popped up in my blog feed last week and I fell in love. I took a bit of time this weekend to make one for me and a friend. It was the sort of project that is nothing but easy and fun! It took about an hour and a half per pillow, and I love the results. The one in the back is the one I kept for myself. I used a fun Sweetwater algebra/math print for the background. So cute. I love the arrows – And how often does one get to use cute brown prints? The one in the front is the one I gave to a friend. I made a little pillow form for this one because I didn’t want to get out of my jammies to drive to Joann. I think I am always going to do this going forward. 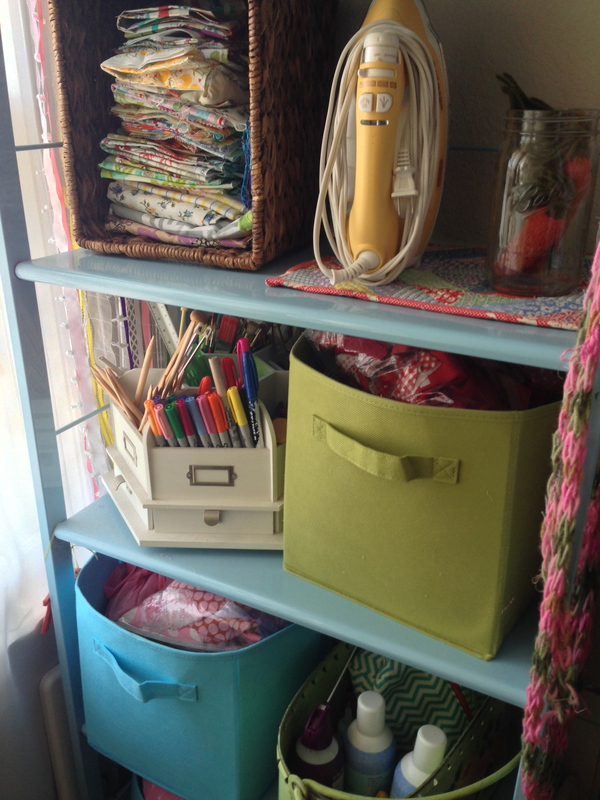 A way to use up unloved fabric and so cheap/easy to make! The backing for the one I gave away is a print of a streetmap of Paris. I love this fabric and only have a little bit left. Let the hoarding begin!! I made mine a bit smaller than in the tutorial (14″ and 12″ rather than 16″). 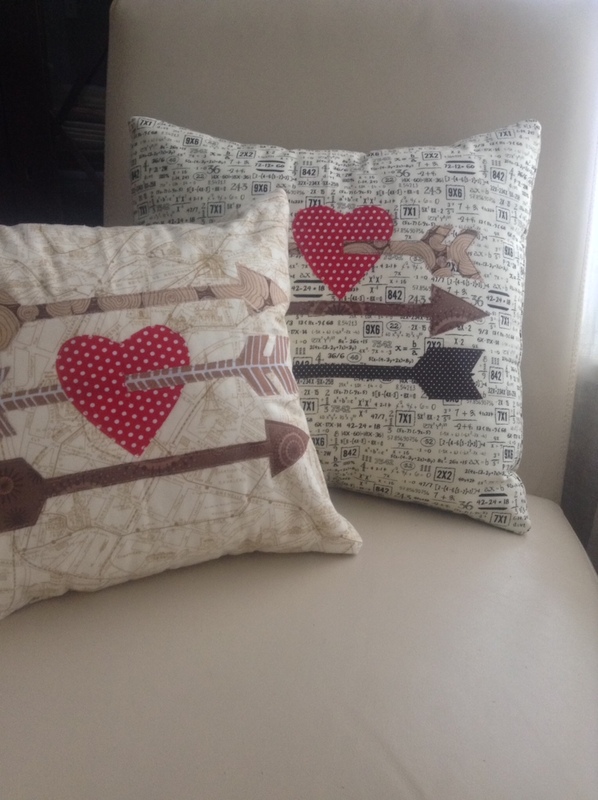 And I added batting before stitching on the arrows and heart so that there is a wee bit of puff in the pillows – which is hard to see in this picture. Happy Valentine’s Day! 🙂 I think this is going to be a series of little pillow covers I make for each holiday/season… a bunny for Easter, a mod corsage for Spring/Summer, something for 4th of July, Halloween… so much fun!